How to build my list? is an often asked question from newbies and seasoned marketers alike. It is probably the number one thing stopping you from making money online. Over the years, I have applied many techniques to build my list and grow my business. Some worked well, while others were just a complete waste of time and money. In the end, I distilled the techniques that worked and used them to generate leads and to make sales. I have even written and sold books and programs about how to get traffic, how to get sales and how to list build. I’m giving away a free copy of one of my books at the bottom of this page in exchange for you leaving a comment. Don’t let the fear of not knowing how to do something, limit your ability to make a substantial living online. I want to help you to get more sales. 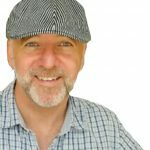 In fact, I will give you a free training course right here “How to build big mailing lists like the big dogs” You can go and see it right here: No sign-in or email required. You can go and see all FIVE using the link below: No sign-in or email required. Many people approaching list building like a gambler playing cards, they play the cards they are dealt and hope it works out. But what you really need with cards are the Aces and so it is with building a list. But just having a few aces and not knowing how to play the games will not help you much either, so you actually need a program to follow. If you’re serious about setting up an Affiliate Marketing business and expect to sell frequently, then you simply CANNOT run a successful business like you are a gambler with cards, unless you are holding all the ACES. To that end I have created a List Building Program – that’s a bit like having all the ACES in a card game. Imagine being able to download a step-by-step video course that would save you time and money by showing you only what you absolutely needed to know to build a productive list. A video tutorial course where you were given a clear-cut, comprehensive system to understanding all the necessary steps, without having to spend years that most have to spend to become, a list-building “expert“? Get your List Building Aces Program Here. Take a look at the advantages of this software program that will not only show you how to build a list but how to actually make money online by building a list! This is an-easy-to-follow, video course that shows you how to take your online business to the next level. Discover how to set up the List Building Aces system just one time to grow your list, build your brand, and generate repeat sales on autopilot. After that, just add traffic! The ‘Missing Ingredient’ all marketers forgot to tell you when they say “The Money’s In The List.” If you, like most people, get this part wrong you’ll be married to a JOB and doomed work hard every time to make a sale. This ‘Missing Ingredient’ goes beyond building a relationship with your subscribers because it also grows your business quicker, faster, and easier! *New* Anatomy of the Squeeze Page unlike any other. You’ll know EXACTLY what to put into your squeeze pages with this outline. Don’t know how to write long copy? No problem. This strategy can give you high subscriptions rate even if your copywriting IQ is below zero. Steal this secret sauce that keeps my business running at full speed even during the recession when my competitors run dry on cash and traffic. Plus, I will teach you to do this without spending any money on expensive scripts or software. How to get repeat sales from the same customers who bought from you before. Once you engineer this process properly, your customers will want to buy more stuff from you again and again. How to get paid faster with 3 profit centers and 1 traffic multiplier built into the List Building Aces system are these 4 cornerstones. Squeeze Page “Black Belt” writing. 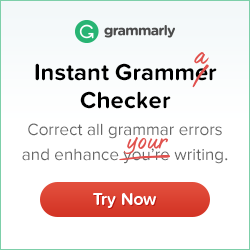 How to write killer copy if all you have is a basic command of English. Use this sequel technique to multiply your subscription rates further. No longer do you have to be at the mercy of an expensive copywriter when you can do a better job yourself using “Black Belt” writing. Origins of the Squeeze Page explained in plain English. Just in case you’re new to all this, I will teach you the basics one step at a time. If you’re advanced, then this is the best refresher you’ll ever find. Look Under The Hood! The 4 essential components in the “new generation” Squeeze Page engine. Lose any one of the components and your squeeze page is at a severe disadvantage. Use this proven Squeeze Page format to construct your own subscriber sucking’ machine. Plus, new squeeze page discovery that converts insanely better than the norm. Learn how to reproduce this anomaly so you can turn the tides to your favor. Headline Howitzer! How I construct my headline to pack the biggest bang for my buck. You’ll discover the same blueprint to help you write your own attention grabbing headline down to the exact font type, color, and message. Introducing the ‘Spokesperson Squeeze’. The essential element used in my “new generation” squeeze page to champion my list building. Since implementing this technique and my conversion rate improved dramatically! Apply the “Opt-in Machine” Sign-Up Strategy and your subscriptions will increase in droves. 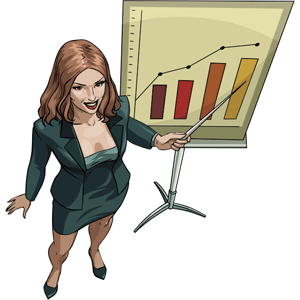 These secrets of direct marketing have been time-tested and used in online squeeze pages. Remember the “cut-out coupon” found in newspapers? There’s a reason why it still works and I’ll show you how to use it. Avoid the biggest mistake marketers make after someone presses the “Submit” button. Instead, do the opposite to instantly weed out disinterested prospects from the very beginning! Recession-proof your list building activities. I will teach you how to powerfully position your list-building so you never have an excuse to “lay-off” building a list. Plus, I teach you how to use this technique to make money from cold prospects affected by the recession. The magic bullet I use to increase the lifespan of my products. And… how I successfully sold the same information and digital goods to my list over and over again. 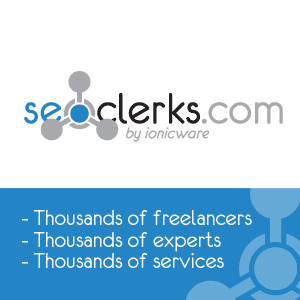 Get more people to click on your order links. See how I increase my click through rate (CTR) without working hard – even a 12-year-old can do this. Important Insight Inside: “When you start selling something, something strange happens…” Learn how by adding one word to your email, you can make your customers want your products so that they search for excuses to buy. Hint: And when you give them the reasons to buy, the sale is done! Discover the types of offers which work best on follow-up emails. Plus, a neat email writing trick used to generate $20 million dollars in annual revenue and how you can do it too. 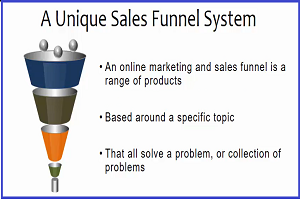 How to pour a never-ending supply of traffic into your list-building funnel. A simple, step-by-step procedure to avoid broken links, 404 “Page Not Found” error and other kinks and glitches in your system. 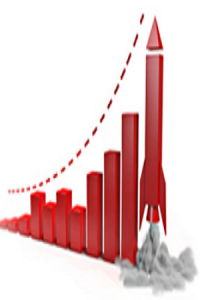 Get instant traffic in 5 minutes using this cost-effective pay-per-click strategy. 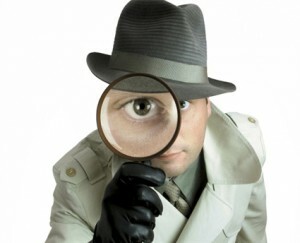 Also, uncover lucrative and highly targeted keywords with this marketer’s secret software. Start your own split testing campaigns to multiply your opt-in rates without buying expensive software or hiring techies to do the work. Long term traffic in 30 minutes. How to get cooperation from membership site owners to pour traffic to you willingly. Plus, a list of membership sites to get you started. With this strategy, you’re practically transferring paying customers from other people’s membership sites into your list. Ethically trade your subscribers for even more subscribers in a single email. Use the Ad Swap technique to leverage on your current subscribers. 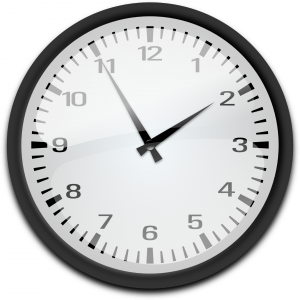 Flood your list by cooperating with other list owners through “closed door” events. Learn how to do this properly and align with the right partners to get an advantage. Plus, common dangers to prevent your list from being sucked dry. Alert! Ninja-level traffic tactic exposed. Here’s an uncommon and rare technique to get hot buyers into your list. I won’t mention the name of this tactic here because it works well beyond my expectations so I’m keeping this only for purchasers of List Building Aces. So How Much is this Course? The material is comprehensive and set up so that you can easily digest each strategy as you go through the process. Forty-seven dollars ($47) would not be unreasonable considering how much time you will save learning what to do and how much money you could make once you implement what you have learned. “But as I was once a newbie and I understand the frustrations of trying to get started and because I’m looking to get feedback and comments on this great product and at $47 it would still be a great price”. And at $47 $27 it would be a complete bargain. However, as I’m wanting to encourage you to buy from me again – I have an awesome deal for you. I’m going to completely back this (as with all my products) with a 60–day ‘love it or hate it‘ guarantee! If you have any problems with this course whatsoever, simply contact me for a full and prompt refund – no questions asked. I trust you! This gives you plenty of time to apply the strategies shown in this course so you can see for yourself how well it works and because I really want you to buy from me again to that end and looking to the future. I have made this a brilliant, no-brainer, investment at the very low introductory price of not $27.00 but $10.00. – Yes, that’s ten small dollars. 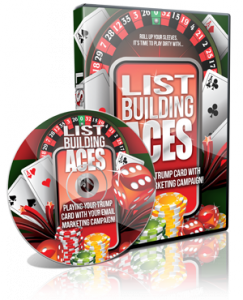 What if, you could grab your copy of List Building Aces and also GET full master Resell Rights. That means you can download it, open it, learn everything you need to know and apply the techniques to get your online business going. Then turn around and resell the same product that helped you. Wouldn’t that be Great? Here’s YOUR chance to cash in and resell this product like it was your own. So this your opportunity to take advantage of a software program that not only shows you how to build a list but how to make money with this easy-to-follow, video course, that you can resell as your own. Why not start selling the same product that helped you? You’re not the only person who needs help starting their own business? How many others would be willing to pay someone to show them how to do things properly? Not Sure if Selling this PRODUCT is Your Thing? Everyone sooner or later wants to start selling their own product. Why be just an affiliate earning 50-75% when you can be a product owner earn 100% all for yourself? Just think how long it’ll take you to create your own product from scratch. How long would it take you to put a training course like this together? How long would it take you to write a sales letter and actually sound like you know what you’re talking about? How long would it take to put some fancy graphics together? It all comes down to EFFORT, TIME and MONEY! Even if you don’t want to take advantage of this, you can still keep it safe on your desktop for the future when you’re ready. You’ll be thanking me for this later! So what are you waiting for? 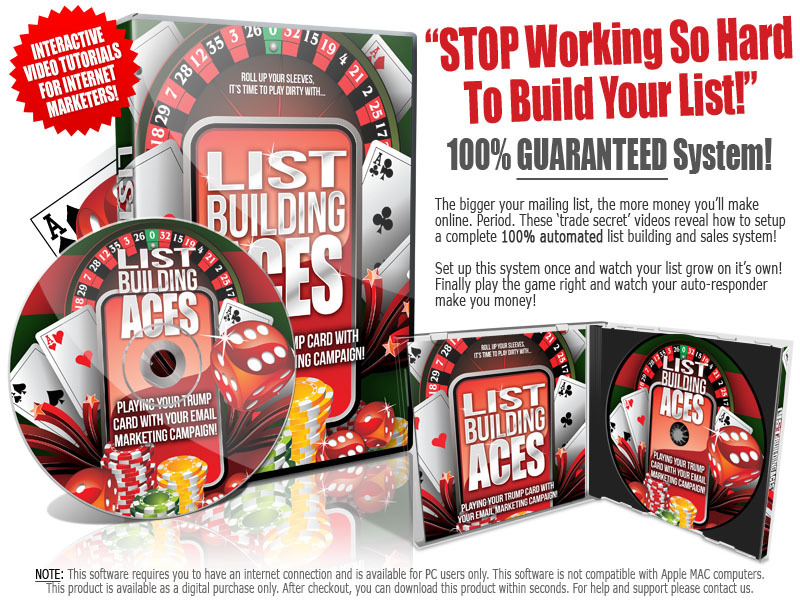 Claim your copy of List Building Aces today to secure your resell rights upgraded license! Getting this low-cost video course is entirely optional, you could just go directly to Wealthy Affiliates follow their awesome program and eventually learn everything need to know by clicking on the banner below. It’s free to join, and I recommend that you join whether you get my courses or not. It is a straightforward down-to-earth program and is an excellent place to get an education and you can do it at your own pace and from your own place. You also receive lots of support and help and answers to all your questions within the membership community that is truly second to none. 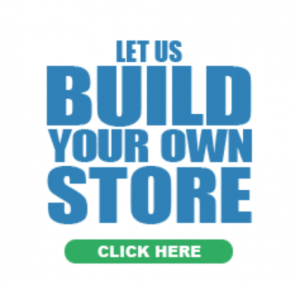 So if you want to learn how to set up an online website completely from scratch, learn to use search engines to your advantage, and to build a sustainable, long-term business, then my number ONE recommendation is you join Wealthy Affiliate. If you have enjoyed this post “How to List Build” please feel free to share socially or ask a question below. 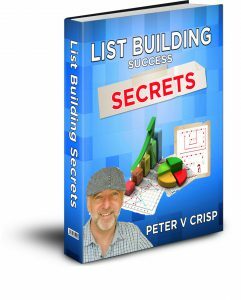 If you leave a comment, I will reward you with a free copy of my latest book; ‘List Building Success Secrets’ – Learn how to create a list and how to profit from it. You can get this book in exchange for nothing more than just leaving a comment! There are lots of other pages and posts at this site packed with tips, advice and recommendations for useful tools and resources to shortcut your learning curve. 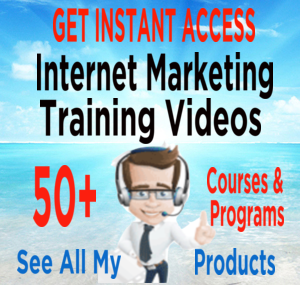 If you are new to building a business online and would like to get started with online marketing I suggest you check out my 300+ video training tutorials showing all the things you need to know about becoming a success in this exciting business. I have been pondering building a list on my own website for quite a while now. So, coming across this has come at a great time. I think the value of the product is reasonable with the amount of pros that you can get within it. The 60-day guarantee is impressive too as most only have 30!